A few weeks ago, I went through Joanne Chang’s cookbook Flour, too marking recipes that sounded interesting. I’m not a huge fan of turkey burgers in general, and after doing the nutritional computation on these I became even less of one. But I thought I should at least give this recipe a try. ( America’s Test Kitchen TV also had a turkey burger recipe that I might have tried, but in true ATK style they stuffed it full of mushrooms, which put it beyond consideration for me.) Turkey burgers really have the deck stacked against them: ground turkey — even high-quality all-dark-meat ground turkey — is very low in fat, which ensures that patties will stick to the skillet no matter how hard you try, and it also has a different protein structure than is found in beef, which makes it more likely to dry out and turn into a hockey puck at the slightest provocation. What’s worse, it’s also extremely bland. 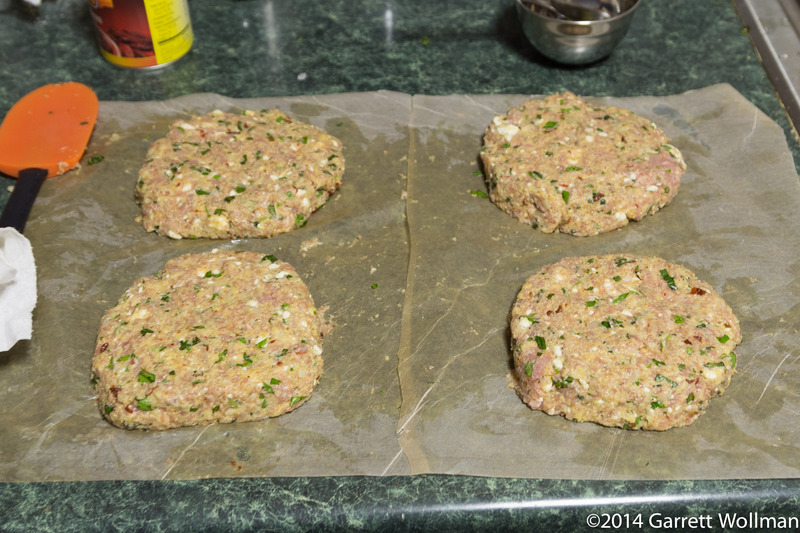 As a result, turkey burger recipes generally end up looking more like meatloaf rather than burgers, with significant quantities of extenders and extra flavorings added to make them palatable, and that was definitely the case with this recipe. Chang describes these as “a healthful alternative to a fatty beef burger with just as much flavor if not more.” I would beg to differ: compared to my standard 6-ounce 90% beef patty, they have more fat, more carbohydrate (much more carbohydrate if you pair them with Chang’s focaccia-based rolls), and indeed more calories. To avoid completely blowing up my diet, I chose to use a commercial kaiser roll at 250 calories rather than Chang’s 390-calorie rolls; I’m quite sure I lost quite a bit in texture and flavor by that choice, but on the other hand, I didn’t have to spend a whole day in the kitchen, either. 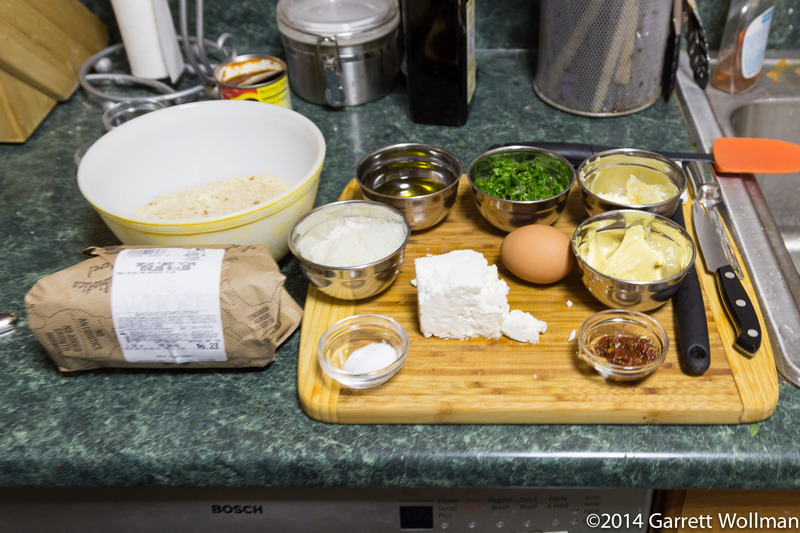 Which brings me to the third issue with this recipe: the prep time. My experience is that cookbook authors almost always grossly underestimate the time required to make anything, but Chang avoids this by leaving prep time unspecified. 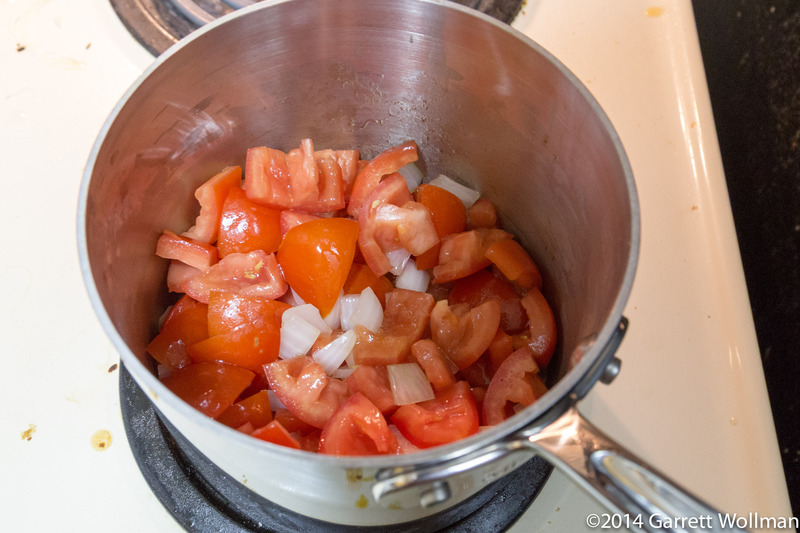 Unless you’re a professional prep cook accustomed to chopping and mincing vegetables, or have a culinary assistant, this recipe is likely to take rather longer than it’s worth. It’s hard to imagine any circumstance in which it would make sense for a home cook to do this — certainly not for a single person like me, maybe borderline for a family of four. 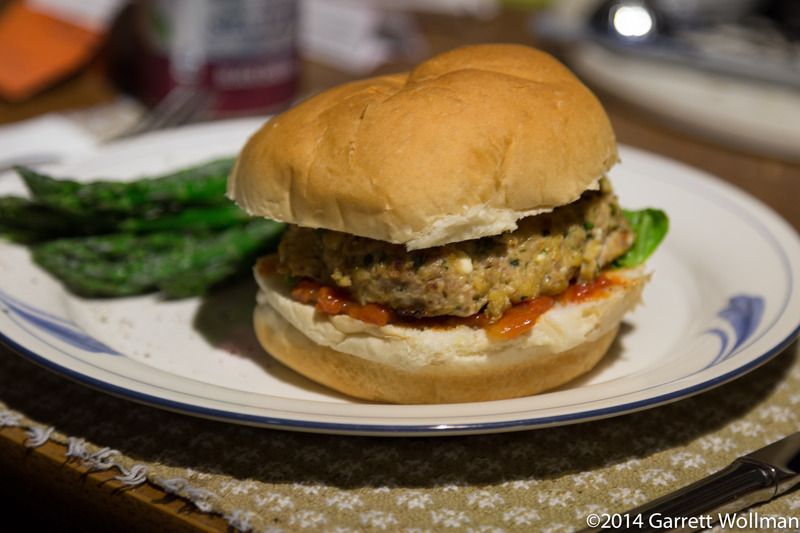 Making regular beef burgers takes about 15 minutes total; making these turkey burgers, including the accompanying tomato-onion jam, took me a good two hours, and in the end, I had a moist, herby meatloaf sandwich. I suppose if one is unwilling to eat beef, for whatever reason, but still willing to eat turkey, this might be an acceptable alternative. Otherwise: Leave it to the restaurant; they’re much better equipped to make something like this. That doesn’t mean I’m not going to supply pictures, however. 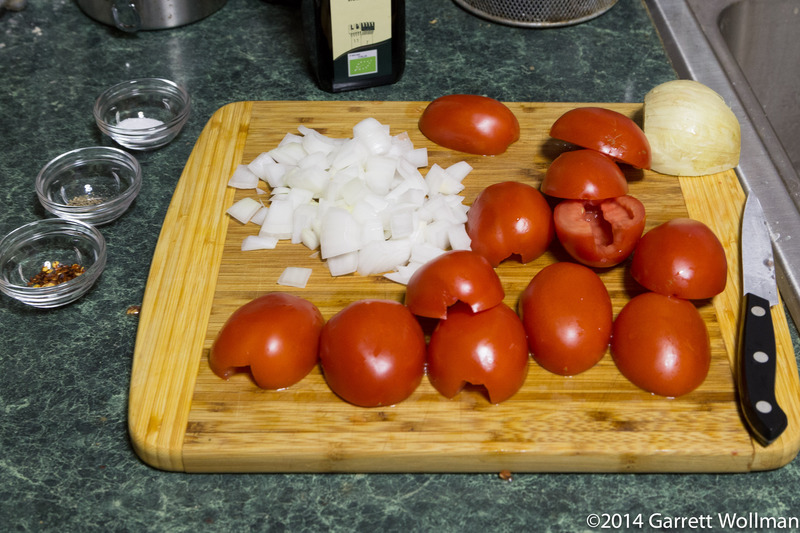 At this point I’ve done everything except chop up the tomatoes. That half an onion in back is just resting. 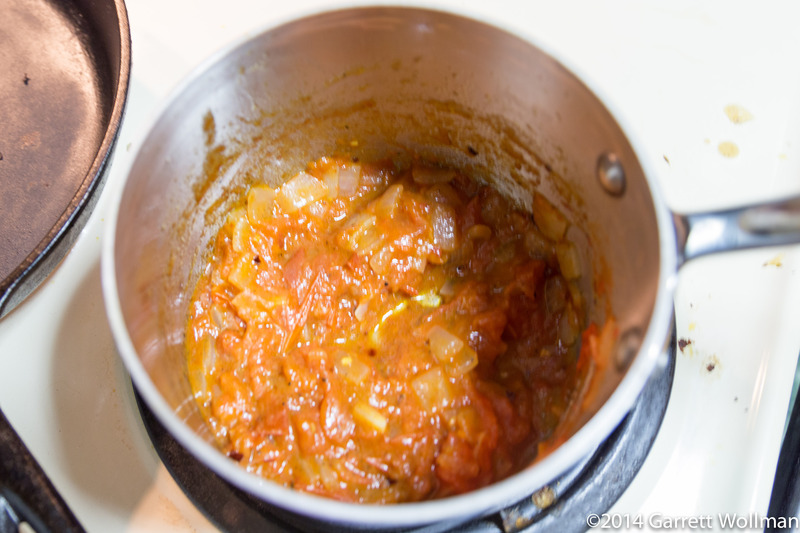 After cooking for 40 minutes, the tomatoes have cooked down quite nicely. The onions, unfortunately, are still holding together. The instructions call for patties between 4 and 5 inches in diameter. These are 4½ inches across — unfortunately that makes them too big for my 10-inch skillet! Sorry, no nicely sliced cross-section here! Since I’m casting aspersions on the purported healthfulness of this recipe, I should at least provide the full facts. My computation is based on using all dark-meat ground turkey; the recipe does not specify, but both fat and flavor would be lower with ground turkey breast. 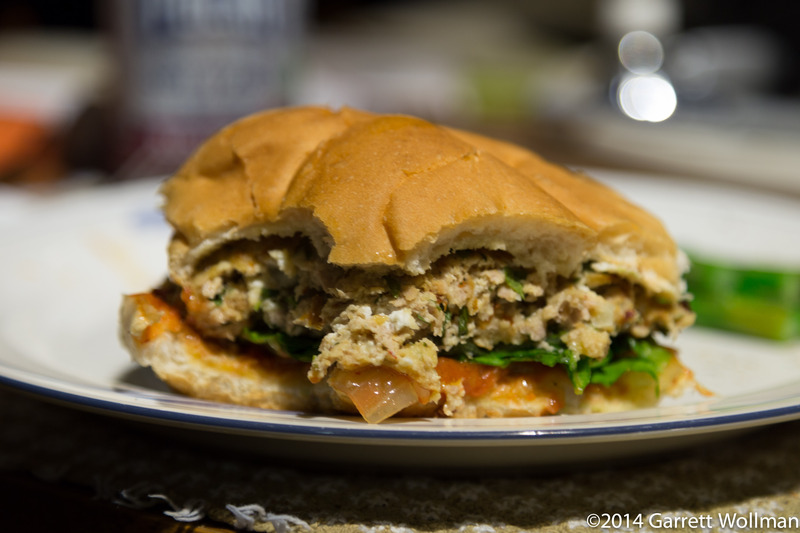 This entry was posted in Food and tagged burgers, Joanne Chang, meat, meatloaf, recipe, turkey. Bookmark the permalink.